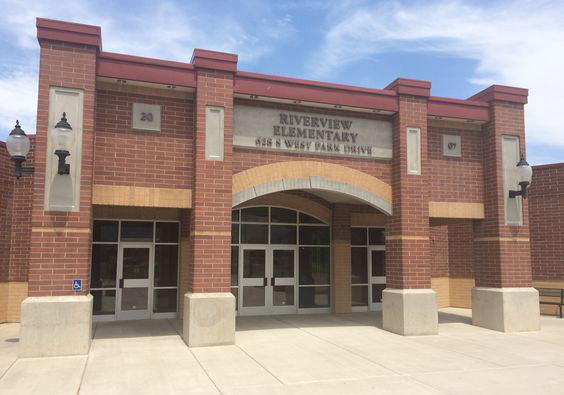 Riverview received a marvelous gift to start off the holiday season. Dyer Highway came to sing to us!! If you haven't heard of Dyer Highway, it's time! They are amazing group of siblings who write, play, and sing their own songs. Tel is the oldest at 18, Tiann is 16, and Mady is 14. They play guitar, fiddle, bass, and many other instruments. Our third grade friend Makayla Hubbs is their cousin who invited them to come and sing to us. This was their second show at Riverview and we LOVE them! We had a packed house as most all of the students got to attend. Only students who showed great citizenship from the beginning of school until now, were able to attend the show. The students were enthralled with the band and the music. The students' eyes were *glued* the whole time to the band! We did not want them to stop when the time came! It was such a fun gift to receive. Thank you Dyer Highway! We sure hope you will visit it us again soon! The "Little Elves" of Mrs. Barnett's kindergarten classes wish you a Merry Christmas and Happy New Year!! A fantastic group of girls from the 6th grade gave Riverview a fun concert Thursday afternoon. They began practicing with Tammy Drager at the beginning of the school year. This group comes to school early in the morning to practice. They each have passed off many songs are sounding great!! We are excited to see their progress throughout the year. We were able to hear a cello today, violins, and a viola. It's sounding wonderful!! On October 18th, Miss Spanish Fork came to Mrs. Hickok's 3rd grade class to read a Halloween story. The girls instantly related to her, and the boys were drooling. The Mayor of Spanish Fork visited Ms. DiRaimo's first grade class on November 8, 2011. They were learning about the community of Spanish Fork, and he came and talked to them about what a mayor does. From start to finish, this year's Reflections contest was fantastic! We had artists come to share with us their craft to help get our creative juices flowing. They taught us how to create a song, dance, and how they make sculptures. Many entries were received and here is a photo of some of the students whose work will go on to the district. Mrs. Barnett's class participated in their annual Thanksgiving Feast just before the holiday break. What a fun way to learn about the first Thanksgiving by making fun crafts and eating good food with classmates! The PTA hosted a Mother and Son 80s Party where they were able to show the boys what life was like back then! Check out the rad outfits! Like, a gnarly time was had by all!